...and, since timing is key for musicians, it is something they well understand. Like most of his art, Andy approached film making from a completely different angle then others. He did not have scripts and used a completely stationary camera. In most of his works, he just put a camera on a tripod and left it running but he did choose his subjects carefully. One of these was the Empire State Building which he filmed for 6 or so hours as the sunset turned into the dark of night. He then slowed the film and presented it as an 8 hour work so people could as he said: "Watch time go by." In films like Sleep and particularly Empire, Andy appears to be playing with a form of Ideomotor Phenomena where images can be used to bypass the conscious mind and spark unconscious reactions. The ideomotor response (or "ideomotor reflex"), often abbreviated to IMR, is a concept in hypnosis and psychological research. It is derived from the terms "ideo" (idea, or mental representation) and "motor" (muscular action). The phrase is most commonly used in reference to the process whereby a thought or mental image brings about a seemingly "reflexive" or automatic muscular reaction, often of minuscule degree, and potentially outside of the awareness of the subject. fill (someone) with wonder and delight, holding their entire attention. "I was entranced by a cluster of trees that were lit up by fireflies"
"Orpheus entranced the wild beasts"
In particular, Empire seems deliberately designed to try induce a trance like state in its viewers with its long running time, slowed speed and the subject, the Empire State Building, with its repetitive flashing lights. As someone who lived in close proximity to it, Andy would have been well aware of its hypnotic effect. I, myself, used to live across the river from the Empire State Building and would often stare at it for long periods of time for the same reason as the dissociated state that it produced was relaxing. In psychology, dissociation is any of a wide array of experiences from mild detachment from immediate surroundings to more severe detachment from physical and emotional experience. The major characteristic of all dissociative phenomena involves a detachment from reality, rather than a loss of reality as in psychosis. In addition to film, Andy was also managing a band during this time, The Velvet Underground, who also used techniques designed to provoke similar responses, techniques like droning. It is curious how the term drone is now used to describe remotely control devices, particularly flying spy planes and helicopters. This is similar to how droning sounds can remotely control humans by inducing hypnotic states and moods along with altering ones sense of time. This points to the bigger picture, one often hidden from us. That we may not quite be the rational beings that we assume ourselves to be. That we have a whole subsurface of programs running that we are typically unaware of that control us to a greater degree than we would like to believe. Programs that others with a more sophisticated awareness can use to hijack us without us even knowing that it is happening. Even more important, this hijacking occurs not via the explicit messages of the art but is triggered by the media itself. 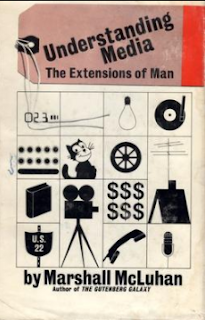 "their demands were publicized by the media"
In his ground breaking work of the early 60's, Understanding Media, Marshall McLuhan, argues persuasively that it is often the media itself that conveys a message, that impacts society. We often believe that we control technology but the opposite is more often true, technology controls us. This message is ever more relevant in our age, an age where technology is taking ever more control over the logic that drives complex society. 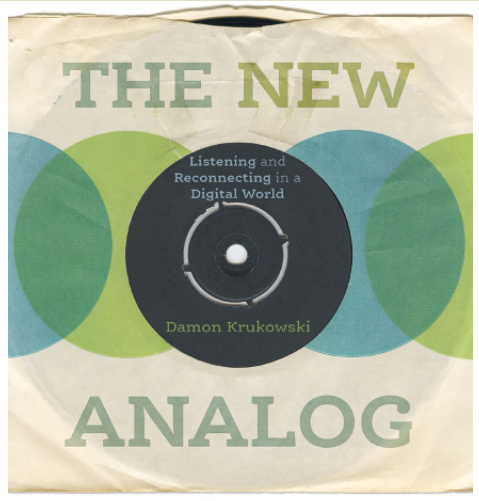 In this post, we delve into the topic of digital recording and what is being lost with its adoption. One band that was heavily influenced by these ideas and the Velvet Underground was Galaxie 500. This band included member, Damon Krukowsk, who has recently has written extensively how the digitization of music has impacted its effect on humans. It in turn is based on a postcast being developed by Damon Krukowski, formerly of the band Galaxie 500, dealing with the impact of digital recordings on our sense of time. Damon speaks of his early days in the studio as part of Galaxie 500 in the late 80's when everything was recorded mechanically via analogue equipment and tape. He and his band mates would tend to get excited and speed of the tempo of songs right before they launched into the chorus. The musical term for this uneven beat is Rubato for the Italian word robbed. In this case, it is referring to the theft of time when one speeds up the beat. Music is known to alter people's ordinary experience of space and time. Not only does this challenge the concept of invariant space and time tacitly assumed in psychology but it may also help us understand how music works and how music can be understood as an embodied experience. Technics SL-1200 is a series of direct-drive turntables originally manufactured from October 1972 until 2010, and resumed in 2016, by Matsushita under the brand nameof Technics. S means "Stereo", L means "Player". Originally released as a high fidelity consumer record player, it quickly became adopted among radio and discoclub disc jockeys, thanks to the direct drive, high torque motor design, making it initially suitable for pushbutton cueing and starting of tracks on radio and in dance clubs. the taking of a sample or samples. "routine river sampling is carried out according to a schedule"
the technique of digitally encoding music or sound and reusing it as part of a composition or recording. an electronic device that alters a sound signal by introducing a cyclically varying phase shift into one of two identical copies of the signal and recombining them, used especially in popular music to alter the sound of an instrument. MIDI (/ˈmɪdi/; short for Musical Instrument Digital Interface) is a technical standard that describes a communications protocol, digital interface and electrical connectors and allows a wide variety of electronic musical instruments, computers and other related music and audio devices to connect and communicate with one another. Vocaloid (ボーカロイド Bōkaroido) is a singing voice synthesizer. Its signal processing part was developed through a joint research project led by Kenmochi Hideki at the Pompeu Fabra University in Barcelona, Spain, in 2000 (the same team that later founded Voctro Labs) and originally was not intended to be a full commercial project. Backed by the Yamaha Corporation, it developed the software into the commercial product "Vocaloid". "poor performance due to network latency"